Quality content is the most important thing when it comes to having a successful website – both for attracting and converting visitors, and being search engine friendly. In order to have quality content though, you must have a clear mission. What is the mission of your website? What makes you unique? Why does your uniqueness matter? Why should people choose you? Your content needs to answer those questions. Your website is often the first step to building a relationship with a client, and like with any good relationship, you must create trust and understanding. That is the purpose of your web content. Introduce yourself. Who are you and what are you offering? Present your headline and tagline. The headline attracts your visitors’ attention and expresses your goals. The tagline is a small amount of text supporting and further explaining your headline. A picture is worth a thousand words. Present a picture or pictures that reflect your brand and your mission. Reveal some of your best content. 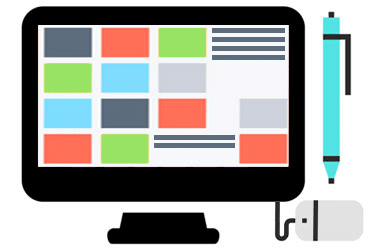 Your homepage should also show visitors what your site is all about. It should answer the question: What valuable information exists on this site? The way you present and structure your text is important to attract readers. If you want your website to be the best in its market, it must be easy to read, by both humans and search engines. Google scans text much like a person would. People scan text before deciding to read it; therefore headings and subheading are important, as are the first paragraph of your text and the first sentence of each subsequent paragraph. If possible, use key words (words people might use in their Google searches) in these places, but most importantly, make it readable. Headings and subheadings should clearly state what your paragraph is about. The first paragraph should tell the main message in your post. The first sentence of each paragraph should contain the core message of that paragraph. Copywriting is all about relevance and authority. It’s about driving your readers to action. It’s all about useful, compelling, and valuable content. That’s what your readers want. That’s what Google looks for. Create content that helps you target your customers and solve their problems. Google (and readers) like substantial posts, but not too long. Between 300 and 700 words is recommended, but is by no means a rule. Add content regularly – Google loves dynamic content. Use customer-oriented language. Avoid clever, ironic, or funny language – keep it straightforward. You don’t want to confuse users or search engines. Avoid redundant information. Keep things clear and to the point. Keep the number of menu items (main sections) to a minimum – more than seven is too busy. It’s best not to have sub-menu items, but if you do, no problem – keep those to a minimum too. If you have a lot of sub-menu items (like more than seven) consider breaking them into separate sections. Include the ability to search your site. Not only will your visitors be happy, but if you use Google Analytics, you can get some insights on the search terms people are using. Group all of your Company information in one place, like in your About section. While sharing information about your goals and philosophy is important, it is secondary information, and typically the least accessed, so if you group it together it’s easily avoided. Keep it short and interesting – too many words can get boring quickly. Change the file name of your images to something that supports the photo and your message. Your camera or phone typically gives the image a file name that includes a number, like IMG_6417.jpg. Google does not like this. It needs meaningful text, so change it to boost your SEO. Give your photo a title tag. The title tag will appear as text when a user hovers over your image. This is another opportunity to add search engine friendly text to your page. Your contact page should be simple and straightforward and include a blurb about why a visitor should contact you. Also consider including: contact name(s), email address, street address, phone number, map, and directions – whatever makes the most sense to your business. Should you provide an email link or a contact form? If you provide an email link, users will have a copy of the email they sent in their mailbox, and can add you as a contact. If you provide a contact form, users stay on the that page and don’t leave your site. They won’t have to wait for their email to load, or log into their account. Just don’t forget to say thank you after they submit the contact form. There are pros and cons to each, so think about offering both. Your footer is a great place to offer access to all kinds information, in a well organized and efficient way, and have it show up on every page of your site. When a user has scrolled to the bottom of a long page, it’s a great place to offer navigation to other areas on your site. It’s also a great place for contact info, a subscription form, and links to your most relevant content. Where should it live? Typically a link in the footer is sufficient. Your business name, location, and contact info. Information about data collection, use, and sharing. Information on how to opt out or access your data. There’s a lot to consider when building a website, but remember, quality content is the most important thing when it comes to having a successful website. I like to sum it up as: Style (be true to your brand/message), Purpose (support your goals), and Simplicity (keep it as simple as possible.) The result will be a beautiful and effective site, that visitors and search engines will both love. How is the quality of your content? I’d be happy to help you make an assessment.